The strip of Gaza has ultimately become a prison for the almost 2 million man and women living within its borders. Ground, maritime and aerial blockades imposed by Israel and Egypt in 2007 -following Hamas’ victory- turned the area into a modern ghetto. There are multiple forces which have violently been fighting for decades to seize control of the Strip. The area is indeed claimed by Israelis and Palestinians since the 1920s, following the institution of the british mandate of Palestine, on behalf of the Society of Nations. The mandate was issued after the defeat of the ottoman Empire, to support the communities living within its colonies.Continuous internal conflicts among palestinians however, are also causing the civilians to become victims of this never ending conflict. Hamas is a political and paramilitary organisation following islamic precepts. It was established during the first Intifada against Israel and is considered by many Countries as a terrorist organisation. The party controls Gaza since 2007 and aims at the creation of a Palestinian State. Al-Fatah instead, acts as an opposition force against the latter. The party originates from the PLO (Palestine Liberation Organization) movement, and lays its foundations on secular ideology. It has guided the palestinian population until Hamas’ election in 2007. It boasts notable figures, Yasser Arafat standing out as its most prominent leader. The Palestinian National Authority (PNA) – also a PLO created institution- was established with the intention to govern the Gaza Strip in 1994 after the Oslo Agreements, which concluded the peace negotiations between Israel and the PLO in 1993. Hamas and Al-Fatah have been fighting over Gaza for decades and only in October Hamas made a step forward towards reconciliation with Al-Fatah and the PNA. This event opened a concrete possibility to operate through a single Palestinian spokesperson in the very expected peace negotiations with Israel. The road is still long and definitely doesn’t lack in obstacles. For instance, the latest stance taken by the United states to move the american embassy from Tel aviv to Jerusalem, doesn’t let Palestinians hope for the better. Abu Mazen, PNA’s president, warns such a decision could lead to dangerous setbacks on the peace negotiations. Hamas’ response was also quite reactive, which threatens to start a new Intifada. Intra-Palestinian clashes haven’t chased since 2005, date which coincides to the ‘Israeli disengagement from Gaza’. In their plan, Israel committed to transferring Israeli citizens residing on the Gaza strip to Cis-Jordan. The plan has however an an increase in the severity of the blockade between the two countries, which also led to a deterioration of palestinians’ living conditions, as also a 2017 UNSCO report denounces. 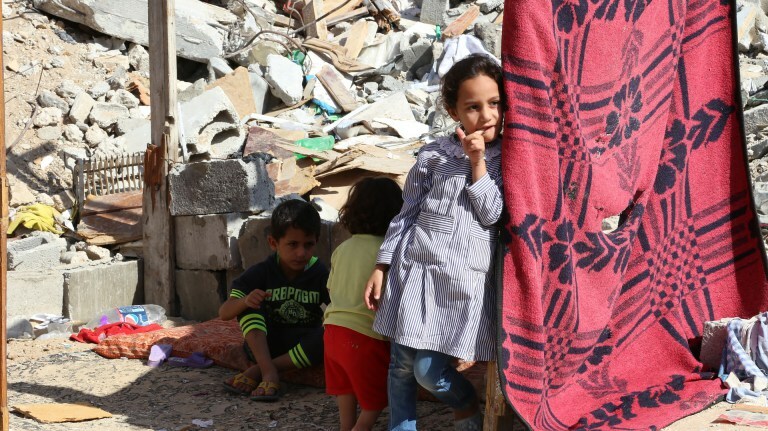 Life conditions for almost 2 million people in the palestinian enclave are deteriorating day after day.This ‘generalized poverty crisis’ within the region was already alarming in 2010 and according to previsions found in the UNRWA 2012 Report, the Gaza Strip won’t be fit for human life within 2020. The report highlighted the lack of irreversible reduction of water resources. Nowadays, the situation is so serious the conditions foreseen for 2020 are dangerously similar to to the ones Gaza is subject to today. Furthermore, the UN Office also denounces the severe energetic crisis in the area: the demand of daily electricity provision is estimated to be around 450 Megawatt, however it has never surpassed the 210 Megawatt threshold since 2006. During the Israeli bombing on the Gaza Power plant in 2006, the electricity provision was limited to only 60 daily Megawatt. In April 2017 the PNA, from Cis-Jordan, refuses to pay taxes for energy provisions on behalf of Israel in the strip of Gaza. The action is caused by a tightening in the relationship with Hamas. The amount of provided energy reaches 120 Megawatt and 140 Mw when Egyptian lines are operating. In June the situation becomes even more critical, when the PNA reduces tax payments to 25% and the energy delivery doesn’t go beyond 80 Mw. The situation is partially improved by Hamas, which starts paying Egyptians to get access to additional supplies, and enabled the Gazan Power plant to produce 55 Mw. The supply was later restored to 127 Megawatt and reaches up to 155 Mw when the Egyption lines are operative, and without the presence of ‘maintenance’ work. The document furthermore reports the pro capita GDP has suffered from a strong decrease, and distribution of health services keeps declining: it is striking to think the potable water quota in aquifers is in 2017 3.80% of what it was back in 2014, and 2.7% in 2000. The report appeals to Israel, Hamas and the PNA, and the international community to ‘ do something’ to support development investments, productivity reinvigoration, increased freedom of movement, as well as respect of human and international rights. 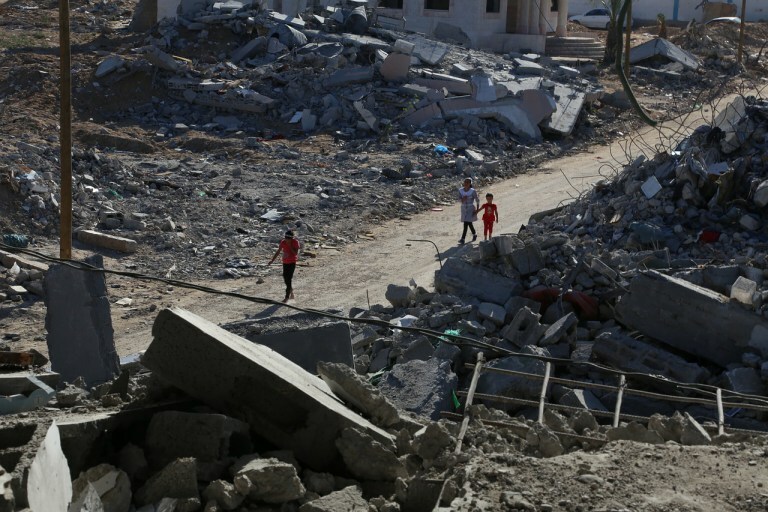 If none of the appealed forces will act, Gaza will become increasingly “Desperate and Isolated’ and peace will represent an almost utopian reality. This is why many NGOs within the territory are emblematic for the population. Many NGOs work on palestinian territory to help local population. The “Palestinian Centre for Human Rights” (PCHR) is one example. The organisation was founded in 1995 by a group of palestinian human rights lawyers and dedicates its efforts to the protection of human rights, promotes the rule of law, and to the maintenance of democratic principles in the ‘Occupied Palestinian Territories’ The organisation has also obtained an advisory status in the UN’s ECOSOC. Kids are the primary victims of the conflict. The PCHR 2016 annual report states that 36 palestinian children have been killed in 2016 by Israeli armed forces in a number of circumstances, such as during protests and demonstrations, bombardments on Gazan civil homes, at checkpoints. In these circumstances many palestinian civilians get arrested and suffer from degrading behaviour and treatment against them. The document also reports the fact that “ the Israeli forces close the gateways for hours without a reason, forcing many travellers, including kids, elderly, and disabled people to wait in hot buses. Also, the wall build along the borders with Cis-Jordan-initially intended to stop palestinian terrorists entering Israel, creates a limitative condition for palestinian’s freedom of movement-especially for the ones who live alongside the border. The reality badly affects local economy, as for example the harvesting of olives, where Israeli Armed forces prevent or limit farmers from accessing their own lands above the wall. Torture and degrading treatments are daily reality: the report states that only in 2016 more than 7000 palestinians were held in custody under Israeli Armed Forces. They are often denied family visits, education, stripped off and searched, isolated in confinement cells, as well as living in negligeable health conditions.“ The situation hasn’t yet changed dramatically. Indeed, the ‘battle of the empty stomachs’, initiated by Marwan Barghuti’s hunger strike – consequently followed by 1300 detainees- denounced the continuous human rights violations against the Israeli prison residents. It was an outcry to let silent voices be heard in a world which turns its head to the atrocities, and crimes against humanity perpetrated every day against Palestinians on the Strip of Gaza and Cis-Jordan. NGOs, and their limited presence on the ground make any hope of improvement crumble. The international community is therefore urged to agree on a strong position to find a resolution for the Israeli-Palestinian conflict, or at least attempt to start the peace negotiation process between the two countries. 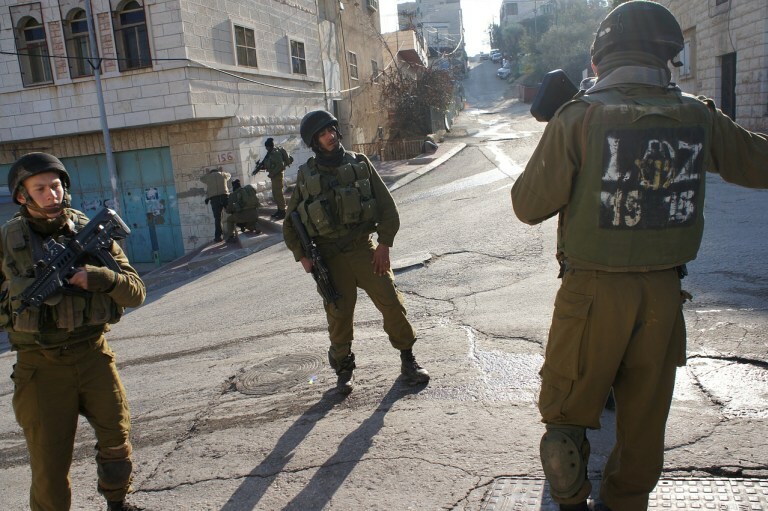 The first and foremost action however, should be carried out through a local intervention aimed at delivering tangible help and aid to the populations imprisoned in the Israeli enclave. The latter should be paired with a commitment end human rights violations, and condemnation of any violence act, which on a daily basis lead to further destabilize and weaken the strip of Gaza.